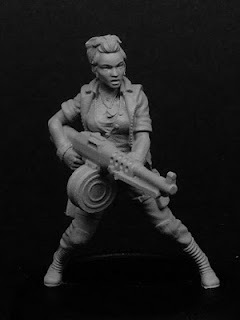 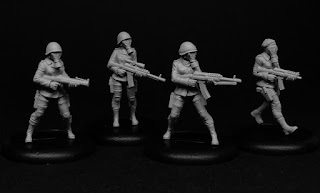 Statuesque Miniatures is pleased to announce the release of Rosa of the Resistance, a hero of the struggle against oppression combining brains, brawn and a very big gun! 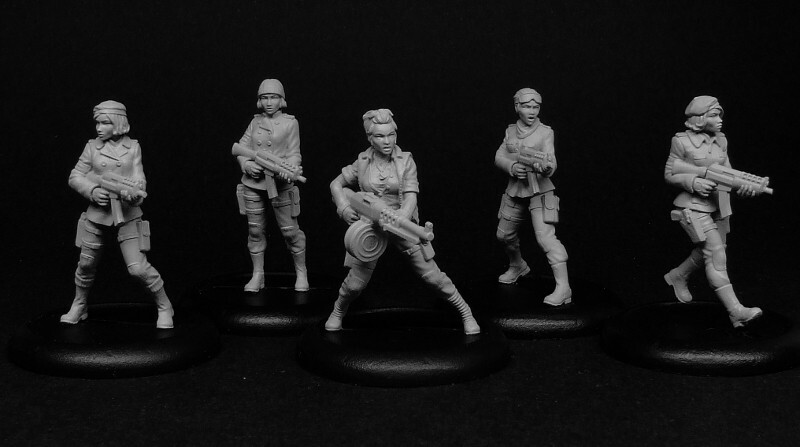 Measuring approximately 32mm unposed, Rosa joins our growing Resistance Fighter range, all featuring interchangeable heads for more variety. 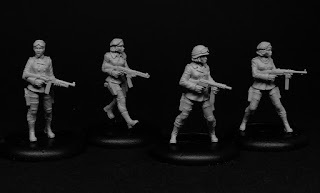 Also released are more pieces for the Resistance Fighter Accessories range designed to fit the Resistance Fighter figures. Protect your resistance fighters from deadly gas with the Gasmask Heads. 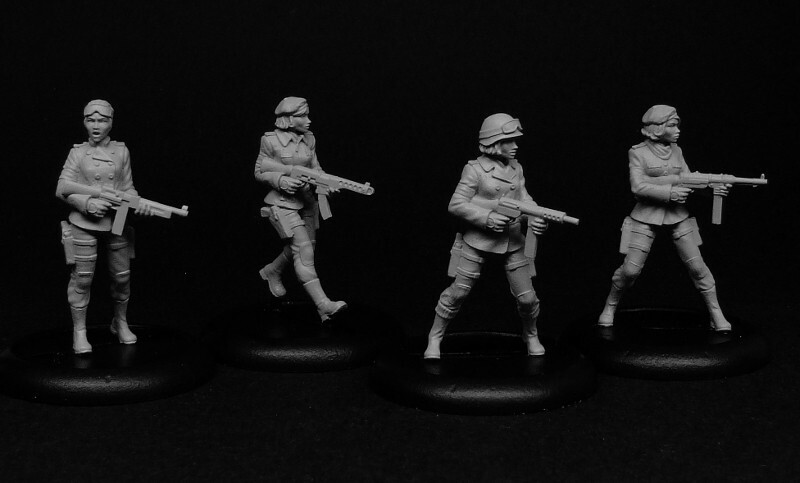 Arm them with some heavier weapons with the Resistance Fighters Weapons 2. 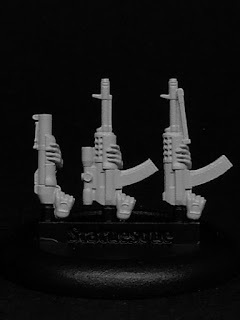 Included on the sprue is a grenade launcher, a sniper rifle and a light machine gun. 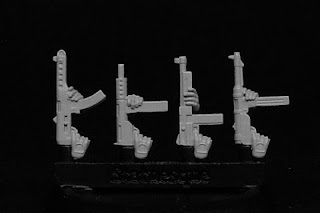 The Retro SMG sprue allows for a bit of weird war or pulp action. 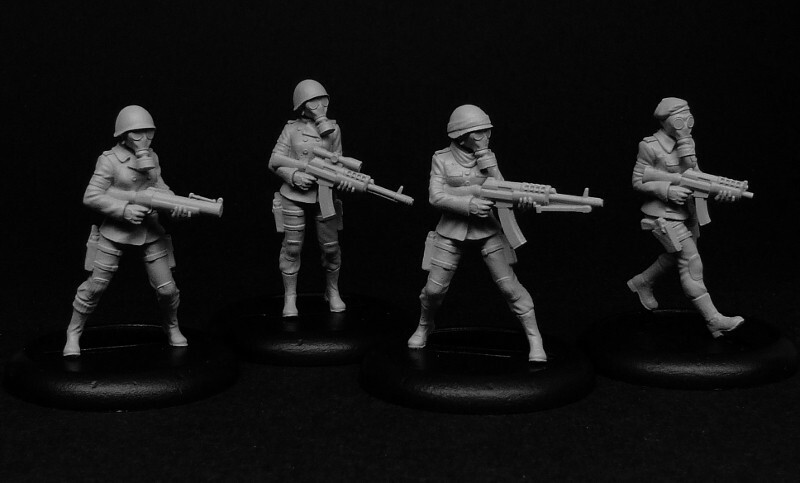 Rosa of the Resistance is priced at £4.75. 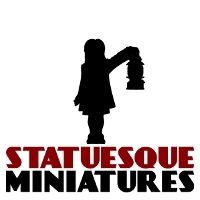 Purchase two Rosas for £4.50 each ; three or more for £4.25 each. 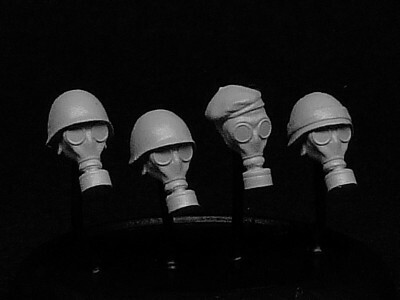 The Gasmask Heads, Weapons 2 and Retro SMG sprues are priced at £1.90 each. 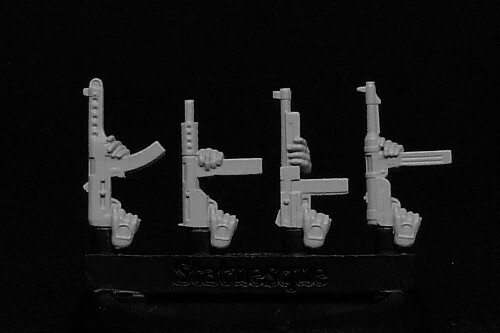 Purchase two or three of the same sprue for £1.75 each ; four or more of the same sprue for £1.60 each. 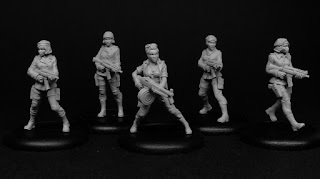 Statuesque's Super Sci-Fi Secret Agent Deal!